On June 14, 2008, Sister Zosima N. Capua, RVM and Sister Margie Aguilar, RVM arrived in Rota. They were accompanied by Reverend Father Bong Lopez. Through the assistance of Father Bong Lopez, the congregation of the Religious of the Virgin Mary of the Philippines was assigned to manage Eskuelan San Francisco de Borja. With a vast experience in supervising bigger schools in the Philippines, Sister Zosima Capua, RVM immediately went to work identifying areas where Eskuelan San Francisco de Borja needs improvement. Sister Zosima Capua, RVM foresee that improvement in academics in Eskuelan San Francsico de Borja is our way to be proud to offer our students an exceptional education experience in a family oriented, Catholic environment. She believes that all children are capable of learning, if given the proper guidance, motivation, and time. In addition, if encouraged the students will reach their full potential. To this end, Sister Zosima Capua, RVM set high standards for academic achievement and personal behavior. Sister Zosima Capua, RVM believe that parents and teachers are partners in educating children; this task is much easier with the understanding and cooperation of both parties. In addition, she realizes that each child is unique, and she challenges the parents to visit her child's teacher and about the special needs of your child. She believes personal responsibility and maintaining a positive learning environment are keys to our students' success. With emphasis placed on academic fundamentals and civic awareness, students are challenged to reach their personal potential and respond in service to others. Family, School and Parish, in a cooperative partnership, share in this educational ministry entrusted to us by Christ. The focus of the future of Eskuelan San Francisco de Borja, during our 20th year and beyond, should be on service and excellence. We are pleased, as the staff and faculty of Eskuelan San Francsico de Borja, to have the opportunity to serve and work with you and your children. The importance of teaching and learning inspire and support the challenge and commitment we have for a quality education with spiritual and character development. The student is the most important person in any school; the student is not an interruption of our work - he or she is the purpose of it; the student is not just a statistic. He or she is a flesh-and-blood human being with feelings and emotions; the student is one who comes to us with needs and/or wishes. It is our job to do our best to fulfill them; the student is deserving of the most courteous and attentive treatment we can offer; the student is the lifeblood of this and every other school; without him or her, we would have to close our doors. Eskuelan San Francisco de Borja is so much more than a school. It is a unified, faith-filled community working together to support one another, and especially our children. There is no way to measure the value of an education deeply rooted in faith and values. An Eskuelan San Francisco de Borja education truly provides the foundation for elementary and junior high school, life and beyond. On June 4, 2002, His Excellency The Most Reverend Bishop Tomas A. Camacho gave the management to the Dominican Sisters from the Philippines. 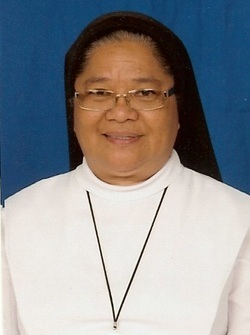 Sister Maria Ascension A. Zambra, O.P., was the assigned administrator and principal. When Sister Ascension Zambra, O.P. took over the management of Eskuelan San Francisco de Borja, she was faced with only 20 students returning for school year 2002-2003. Sister Ascension Zambra, O.P. with two teachers immediately visited the village of Songsong and Sinapalo to survey and campaign for students. By August 2002, the enrollment increased from 59 to 93 students. In 2003, 8th grader Aniceto Mundo placed 10th overall amongst 64 students during the 2003 Scripps Regional Spelling Bee competition held in Guam. In 2004, 7th grader Dheena Elayda placed 6th overall amongst 69 students during the 2003 Scripps Regional Spelling Bee competition held in Guam. The proudest moment of Eskuelan San Francisco de Borja came in 2005, when 8th grader Dheena Elayda topped all spellers in the Pacific region as she was crowned the champion. This highlighted Eskuelan San Francisco de Borja as one of the top schools academically in the pacific region. Sister Ascension Zambra, O.P. and Dheeda Elayda headed to Washington, D.C. to compete in the nationally televised Howard Scripps Spelling Bee competition. On May 6, 2006, Sister Ascension Zambra, O.P. decided that she would celebrate her Golden Jubilee in Rota. The grand occasion was graced by His Excellency The Most Reverend Bishop Tomas A. Camacho, Mother Celestine Bancal, O.P., the Mother Superioress, Sister Maria Leonarda Montealto, O.P., her Superior from Hawaii, and her fellow Dominican Sisters assigned in the Marianas. That same year, 7th grader Pauline Manglona placed 5th overall amongst 67 students during the 2006 Scripps Spelling Bee competition held in Guam. On December 2006, with the assistance of the CNMI Public School System represented by Mrs. Jackie Quitugua, Eskuelan San Francisco de Borja’ teachers had its professional development. Sister Ascension Zambra, O.P saw the need that the teachers needed to be updated on the various subjects such as math and english. In 2007, the year Eskuelan San Francisco de Borja should be remembered. On this year, 8th grader Pauline Manglona gave pride and honor to Eskuelan San Francisco de Borja by outlasting all 69 spellers in the Pacific region to be champion in the Scripps Regional Spelling Bee competition held in Guam. Eskuelan San Francisco de Borja is the only school on Rota to send two Spelling Bee Champions to represent the Pacific Region at the National Howard Scripps Bee competition. Due to prior commitments, Sister Ascension Zambra, O.P. could not accompany Pauline Manglona to Washington, D.C., to compete in the National Howard Scripps Spelling Bee competition. During the year 2003 to 2008, Eskuelan San Francisco de Borja started its King and Queen grand affair and fundraising efforts for the school. School years 2006 to 2008 were challenging times for Sister Ascension Zambra, O.P. As many schools are closing down in the United States because of low enrollment, Sister Ascension Zambra, O.P. felt the low enrollment is hurting Eskuelan San Francisco de Borja too. Even with Educational Tax Credit donations and fundraising efforts it was still not enough to operate the school. Sister Ascension Zambra, O.P. main concern is the school loan, teachers’ salaries, and meeting payment obligations to various vendors. Sister Ascension Zambra, O.P. felt that her age could no longer cope with Eskuelan San Francisco de Borja’ problems that she requested His Excellency The Most Reverend Bishop Tomas A. Camacho and her superiors to have the school managed by an energetic and younger generation. On June 2008, the Dominican Sisters left Rota with six great hardworking years, flourishing Eskuelan San Francisco de Borja as it was in the beginning. Their spiritual guidance in the Rota community will always be treasured. After succeeding the late Sister Mary Benedict San Nicolas, RSM, Sister Brigid Perez, RSM, went right to work, continuing the programs initiated by her predecessor. One of the projects initiated by Sister Brigid Perez, RSM was that she secured funding for typhoon shutters for the school. The funding was made available through private donations and government allocations. Her greatest challenge was student enrollment. To keep the school in operation, Sister Brigid Perez, RSM, had to do student recruitment every year. Due to other financial obligations by the parents, student enrollment went down during the year 2000 & 2001. This downturn left Sister Brigid Perez, RSM, to find other funds such as Educational Tax Credit (ETC) donations and fundraisings to help Eskuelan San Francisco de Borja keep operating. Other challenges faced by Sister Brigid Perez, RSM, is keeping up with the teacher’s salaries and most importantly the school loan. This loan obligation had put a burden on the administrator and the fear of losing the school. With all the obstacles she had to manage, it did not dampened her spirit in keeping the great and only Catholic school education alive on Rota. In 2001, Eskuelan San Francisco de Borja had a student reached the Top 10 during the 2001 Scripps Regional Spelling Bee, a prestigious competition for both public and private schools. The competition was held in Guam. 6th grader Sarah Jane Manglona placed 9th overall amongst 65 students within the Pacific region. Then in 2002, 8th grader Sheryl Villanueva placed 6th overall amongst 63 students during the 2002 Scripps Regional Spelling Bee competition held in Guam. On June 3, 2002, Sister Brigid Perez, RSM, and her fellow Sisters of Mercy left Eskuelan San Francisco de Borja. Under the management of late Sister Benedict San Nicolas, RSM, and Sister Brigid Perez, RSM, Eskuelan San Francisco flourished into one of the CNMI’s top private schools. Dubbed as the only Catholic School in Rota, Eskuelan San Francisco de Borja’ mission of educating the whole person has remained constant and unshakable. Eskuelan San Francisco de Borja provides young people with an academically strong education, a firm Catholic foundation, and an awareness of their own self-worth and that of others. Rich in tradition and still evolving, Eskuelan San Francisco de Borja’s history assures its students that they will benefit greatly from the educational experience received while they prepare for their future. On July 1955, Rota born native and fondly called as Sister Benedict, chose the vocation of a nun in the Community of the Sisters of Mercy on Guam. Her ministries included teaching at Caholic Schools in Guam from 1959 through 1968. She also took on administrative duties at Saint Anthony School in Tamuning, GUam from 1973 to 1975. In addition to school ministries, she worked on vocation. She was the Vocation Director for her community from 1972 through 1978. From 1980 to 1983, she was the Community Formation Director. In her role as Director, she helped young nuns to grow spiritually through prayers, to incorporate the Gospel in their daily lives, and to build community life in the charismatic community following the example of Mother Catherine MsAuley, the Foundress of the Sisters of Mercy. 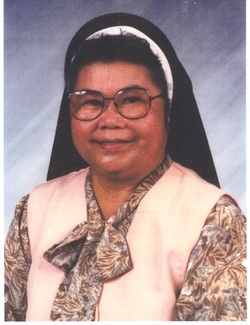 On August 19, 1989, with a longstanding desire to help in the ministry of her brethrens on the Island of Rota, the Sisters of Mercy made and entered into contract with His Excellency The Most Reverend Bishop Tomas A. Camacho, Bishop of Chalan Kanoa, Saipan, a joint effort for the establishment of a self-sufficient Catholic School through Catholic Education. The contract was signed by The Bishop of Chalan Kanoa and the Regional Superior of the Sisters of Mercy on Guam. This led to the appointment of a Rota native, Sister Mary Benedict San Nicolas as the administrator and principal of Eskuelan San Francisco de Borja. Eskuelan San Francisco de Borja operating under the Charter of Mount Carmel School of Saipan opened its door to 50 children: 20 Kindergarten students, 14 four year olds, and 16 three year old. On June 8, 1990, Eskuelan San Francisco de Borja held it first Kindergarten graduation. His Excellency The Most Reverend Bishop Tomas A. Camacho awarded twenty-one kindergarten students their diplomas. He was assisted by then Father Louis Antonelli, Pastor of San Francisco de Borja Church, and the late Sister Mary Benedict San Nicolas, RSM. On August 1991, under the Education Act of 1988, Eskuelan San Francisco was granted its First Charter to operate as a non-profit educational institution with all rights and privileges. On January 1, 1992, the Eskuelan San Francisco de Borja was granted its first Business License to engage in the operation of Catholic School. Throughout the administration of Sister Mary Benedict San Nicolas, RSM, generous support and donations from distinguished leaders, parents, friends, and relatives of the Rota community and abroad kept the school community in operation. Furthermore, during Sister Mary Benedict San Nicolas, RSM tenure, Eskuelan San Francisco de Borja saw the erection of the school’s science laboratory and library, and the Sister’s Convent. The buildings were made possible by generous donations from the Rota community and abroad. 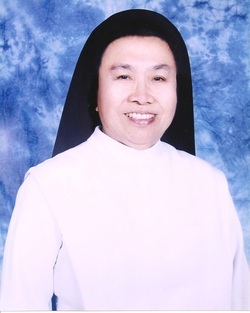 Due to health reasons, the late Sister Mary Benedict San Nicolas, RSM had to forgo her tenth year as Eskuelan San Francisco de Borja administrator and principal. Up to this date, she is the longest serving administrator and principal of ESFDB. 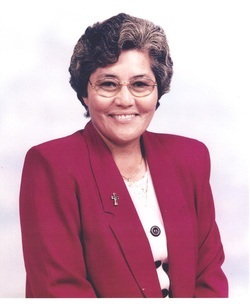 After her ministry in Rota, she returned to Guam and served at the Chancery Office as the Religious Education Director until her passing in May 27, 2000.